Why should I talk to an Immigration lawyer?  An Immigration Lawyer has the knowledge, expertise and resources to assist you in your legal matters. An Immigration lawyer is the one authorized by law to the practice of law. How can I book a consultation with the lawyer? To book a consultation you can call us to our office, send us an email or book through our website. Can I book an initial consultation over the phone or Skype? Yes, for your convenience, the attorney can do the initial consultation over the phone or Skype. How much is the initial consultation? The initial consultation is USD$100.00. This fee will be credited to your case if you hire us to be your lawyer. How can I make the payment? You can pay cash, you can make a wire transfer, or you can use your credit/debit card. Once you have booked your initial consultation we will email you a confirmation with instructions on how you can pay. How long is the initial consultation? The initial consultation is one hour long. During this time you can make all your immigration questions to the lawyer. What documents do I need to bring to the initial consultation? Please bring all the documents related to your immigration case or to your entry to the United States. In addition, bring police reports, birth, marriage or death certificates and medical records, if any. What should I do after the first consultation? If you are eligible to any immigration benefit, please apply now! Remember that the most important investment you can do today is to obtain your legal status in the United States. What is the Asylum about? Asylum is a humanitarian visa to which you can apply in case of being victim of persecution or there’s a well founded fear of being persecuted and fear for your life. What type of persecution is required to submit an asylum application? The persecution or the well-founded fear to be persecuted must be based on race, gender, nationality, religion, membership to a particular social group, political opinion, domestic violence. When can I submit an asylum application? Affirmative asylum applications must be submitted within the first year of arrival to the United States. The applicant must be physically present in the United States. Can I include my family in my asylum application? In the asylum application the principal applicant may include the spouse and children. Can I work while I wait for a decision in my asylum case? Yes, after150 after receiving the acknowledgement from the asylum office. When am I going to have an asylum interview? As per the new USCIS guideline, interviews will be scheduled for the most recent applications. Thus, if you apply last December or this year you will receive an interview date sooner than previous years applicants. Can I get a Green Card under the Cuban Adjustment Act? Yes. Can I apply for a visa if I have been victim of a crime in the United States? Yes. You can qualify for an immigration benefit if you were a victim of a crime in the United States, have cooperated with the authorities prosecuting the crime and the crime is a qualifying crime or a related one. I am a victim of domestic violence in the United States, what can I do? The first thing to do is to contact the authorities to report the crime. If the abuser is a United States citizen or legal permanent resident and you are married to him or her then you are eligible to apply under the Violence against Woman Act. If not, you can still be eligible or for a T or U Visa. I would like to invest in the United States. What can I do? Foreign investors can come to the United States to expand their business or to invest in a new one. AS an investor you can qualify to a visa depending on the purpose of your stay, the amount of your investment and, in some instances, if you are a national of a qualifying country. How can I work in the United States? If you have a job offer from an United States employer, or you possess extraordinary abilities in the arts or sciences, if you are a member of a religious organization, if you have outstanding skills or lengthy experience in your field, if you are an academic, doctor, or if you just want to learn about the American life and culture you might qualify for a work visa in the United States. I have been a victim of human trafficking. Victims of human trafficking are protected by the Immigration Law. The T Visa was designed for this purpose. If you have been forced to work, have been brought from another place, your documents have been retained please contact us.